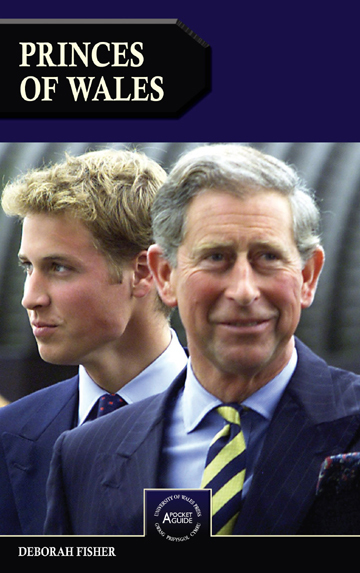 As heir apparent to the British throne, the holder of the title Prince of Wales fulfills a pivotal role in the royal family and has always been at the center of intense public scrutiny. From speculation over his ability to rule to gossip about his personal life, through the centuries the Prince has commanded a worldwide audience. An up-to-date and concise overview of all twenty-one of the officially recognized Princes, Deborah Fisher’s Princes of Wales is the first book on the subject in over twenty years. Seven hundred years of royal history are covered, from 1301—when the first Prince, Edward, was invested with the title—up to the present reign of Prince Charles, who has held the title since 1948. In between, Fisher relates fascinating stories about each Prince, including Dapper George, Poor Fred, and Mad King George. We learn that eight of the Princes never acceded to the throne—some died in childhood while others, such as Prince Frederick, whose hostile estrangement from his father eventually made him a pariah at court, held the title until old age, failing to outlive their reigning parent. By drawing parallels between the lives of each of the Princes, Fisher highlights some intriguing facts: among them, the Princes have produced a total of 102 children, 29 of whom were illegitimate—nearly half of which can be attributed to Charles II, who carried on notorious affairs with other noblemen’s wives but sired no legitimate heir. The perfect companion to Fisher’s earlier work, Princesses of Wales, this book will delight anyone interested in the colorful panorama of Britain’s royal past.